Hiring a lawyer shouldn't be an unpleasant experience. When you're in the midst of financial struggle, the last thing you need is more stress over an impersonal attorney who isn't attuned to your needs and goals. At the Bankruptcy Law Firm of Clare Casas, our debt relief attorneys in Fort Lauderdale, Florida, provide compassionate legal counsel for those facing financial difficulties. 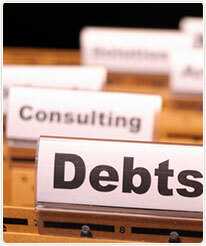 Our firm is dedicated solely to helping clients obtain financial freedom through bankruptcy and other debt solutions. We strive to make every client's experience a positive one. We are not your run-of-the-mill, impersonal law firm. On the contrary, our hallmarks are quality, convenience and compassion. So what makes us unique? We are committed to outstanding client service. When you hire us, you won't just be a number or a file. We believe a successful attorney-client relationship is built on trust. Thus, we take the time to build relationships with our clients. Our goal is to help you feel comfortable every step of the way. After all, you're hiring an attorney to help turn your life in a positive direction — shouldn't your lawyer be on board with that goal? Personalized service: When you hire us, you will be engaging a lawyer, not just a secretary or legal assistant. One of our lawyers will personally handle your case every step of the way. You will never get lost in the shuffle. Open evenings and weekends: In addition to regular office hours, we offer evening and weekend appointments for your convenience. Upfront and reasonable prices: We firmly believe that obtaining financial freedom should be affordable. We offer flexible payment plans. Committed to helping hardworking people: Our loyalties aren't divided. We only represent debtors — hardworking, everyday people like you. Fully bilingual: All of our attorneys and staff are fluent in both English and Spanish. Diversity-driven: We are proud to represent people from all walks of life. We especially welcome our Caribbean and Hispanic neighbors and members of the GLBT community. Technology-friendly: For your convenience, we utilize technology that allows you to enter information about your case from the comfort of home. To learn more about how we can help, contact us online or call us at 954-327-5700.